It’s “full STEM ahead” this summer as we get what will soon be largest facility on campus ready for the 2018 fall term. You can expect to see new trees, seating, and landscaping popping up in front of the building while we set equipment up inside. “STEM” (Science - Technology - Engineering - Mathematics) will be an interdisciplinary research and teaching facility designed to foster connections between different faculties, encourage new ways of thinking, enable experiential learning, and promote entrepreneurship. The STEM complex will consolidate several departments from the faculties of Science and Engineering under the same roof. A state-of-the-art science, technology, engineering and mathematics (STEM) complex will house open-concept teaching labs, 3D-printing Makerspaces, our current Entrepreneurship Hub and multidisciplinary spaces. Why build this new complex? The University’s Campus Master Plan envisions a new, dedicated science and engineering building to increase overall capacity in those faculties; moreover, some of the existing facilities housing the STEM disciplines are inadequate to support 21st-century research and learning. 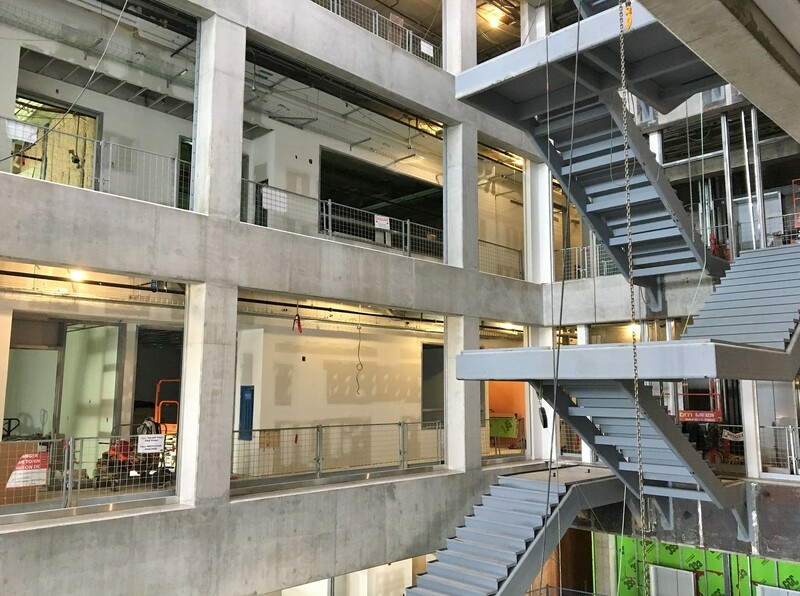 The new complex will replace MacDonald Hall and the CUBE, which had reached the end of their useful lives, and complement ARC to propel the University toward its goal of becoming one of Canada’s top five research-intensive universities. How is the STEM complex being funded? 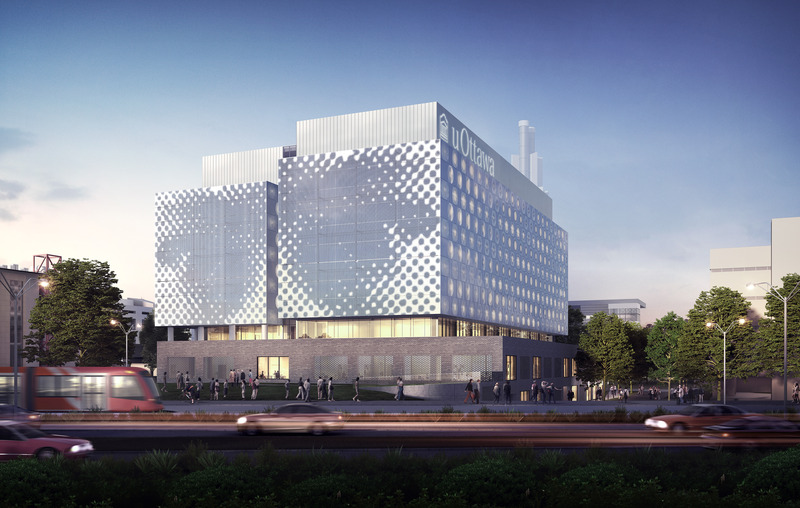 The $115 million STEM complex, which will become the core of our own discovery district on the main campus, has been made possible thanks to a $51.5 million federal government grant from the Post-Secondary Institutions Strategic Investment Fund and $6.4 million from the Province of Ontario. As the total contribution from federal sources can cover up to half (50%) of the project’s eligible costs, the remaining funds will come from university sources. Where will STEM be built? The new building will be located in the area previously occupied by the CUBE, MacDonald Hall, and a portion of parking lot V.
What is the anticipated time frame for the construction of STEM? Site preparation began in the summer of 2016, with construction beginning in the fall. To satisfy the federal funding requirements, the building will be substantially complete by April 2018. We aim to open the building to students for the 2018 fall term. Signage Consultant: Jaan Krusberg Design Inc.